It was not raining, the skies had brightened, and there were even hints of warming sunshine, making it a memorable Welcome to The Masters moment. Buoyed by this fabulous good fortune, we were now ready for our first-ever Masters Moving Day. The short walk into Augusta's hallowed grounds begins to build the excitement as the grounds not surprisingly get nicer with each step, until finally you go through the gates in what reminds one of when the Wizard of Oz switches from black & white to color. From there, the magnolias, azaleas and other flowers in full bloom lining both sides of the walkway immediately let you know you're not in Kansas anymore as you pass the practice range on your left and begin to see some bright-white cabins on the right. 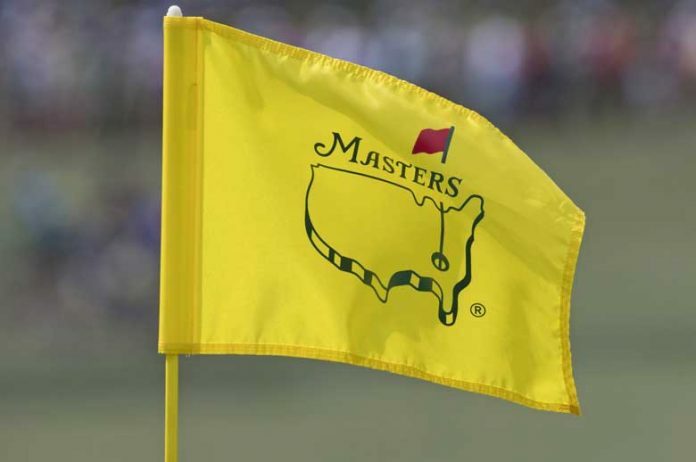 Soon thereafter you spill into the busy Pro Shop area, which is always busy since it's the only place on the planet where patrons can buy Masters clothes and paraphernalia, where most everyone not only has their own list of what they want but often an even lengthier list from family and friends. Then the truly WOW moment arrives, when you suddenly see the course in all its majesty laid out right in front of you, a panorama of green flanked on the right by the legendary leaderboard adorned up top with colorful flags from competitors' countries and on the left by a variety of cabins and structures. From there, the immediate visual is that the course is seriously hilly, and like the green undulations, simply cannot be truly done justice on television. Now, it was time to watch some golf and our timing was impeccable as Tiger Woods was walking up the nearby 18th fairway, so we started in style by watching him hit his approach shot to the side of the green where we were standing, thus finishing his round just a few feet in front of us. Then it was all downhill from there, as we descended down to the famous Par 3 16th water hole and a perfect view of both tee and green, where in 2005 Woods' legendary chip famously hung on the lip before dropping in, and where in 1986, Jack Nicklaus holed his lengthy putt to secure his win at age 46. While there, we heard our first true Augusta roar right behind us when Rory McIlroy eagled at an adjacent green, which made it a perfect time to move on. That meant a short walk to Amen Corner, and its amazing azaleas and accompanying flowers perched behind the 13th green with the moat-like Rays Creek protecting the front. As we settled into the bleachers to soak up the setting for a while, Jon Rahm sustained his run up the leader board when after hitting into the water, he rescued the hole by hitting his next shot hole-high to set up an easy tap-in, which helped keep him in contention throughout Sunday. 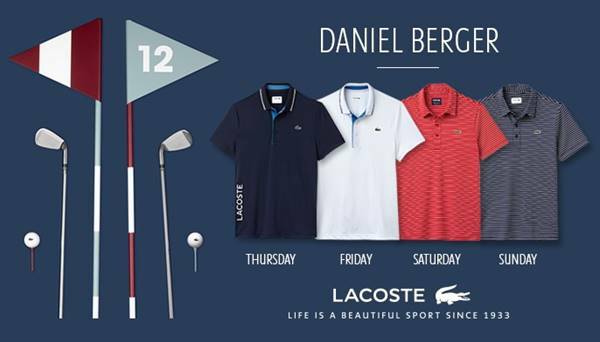 Having seen the absolute must-sees, we then crisscrossed the course where at every turn there was a breathtaking new vista that instantly becomes seared into the mind's eye forever, while also watching the likes of Daniel Berger nattily attired in his signature LACOSTE polo to Jimmy Walker wearing his familiar basic black outfit. Of course, no day in Augusta would be complete without finding one of the numerous food stands for both an egg salad and a pimento cheese sandwich, complete with a touch of nostalgia by paying pocket-change prices straight out of the 1960s and also being treated like gold as every single employee in the cafeteria-style line engages you in pleasant conversation by asking where you are from and how your day is going. 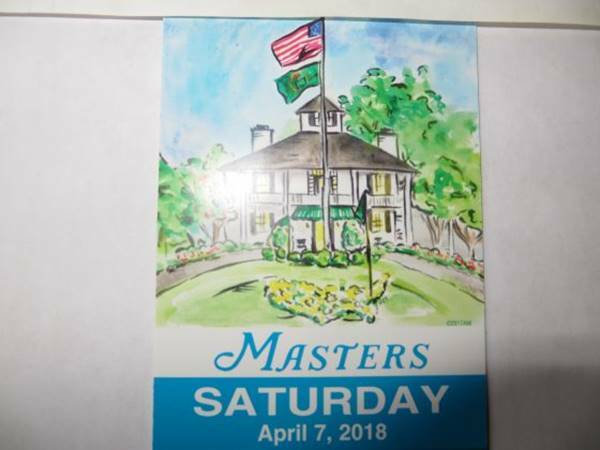 Being spoiled like this, as we also were everywhere else by each Masters staffer we interacted with, was par for the course since that was already our weekend experience back in beautiful Atlanta. We stayed at the spectacular Loews Atlanta Hotel in the trendy Midtown section of town, where we were treated to a spacious suite with a sweeping view of the city. Additionally, the superior staff made reservations at nearby popular Peachtree Street-area restaurants, and even provided complimentary luxury rides to those and other neighborhood locations. Our transportation was also enhanced by being able to rent our car for the weekend from the helpful Hertz rental desk in the lobby, making the drive to Augusta and around Atlanta and its scenic suburbs user-friendly with our vehicle awaiting us onsite. Coincidentally, it was the second golf-friendly experience at Loews in the past few months, after staying at the Loews Portofino Bay Hotel at Universal Orlando for the PGA Show in late January. Conveniently located just a few minutes away from the Orange County Convention Center where the massive event was held, this stunning Loews location was the perfect place to unwind after a full day on the floor, featuring an easy stroll or short boat ride to Universal's popular Theme Parks and vibrant CityWalk. Just like the Loews Atlanta, the Loews Portofino Bay staff was wonderful in meeting our every need and making our stay there memorable as well. So all in all, Loews hotels and golf go together like Atlanta & Augusta, even when the weather wants to rain on our parade.